Long before I gave birth, I remember surfing the Internet, reading all these fantastic birth diaries provided by new moms. Now you have the opportunity to share your experiences with mothers from all over the world. We all have different experiences and/or expectations. The Water Can Break... Anywhere! Giving Birth Is Nothing Like On TV! "Leg" Labour, Epidural Not Always Safe! What was is like to give birth to your child or children? What worked and what didn't? Maybe you even have some tips for expecting moms? Please share your birth experiences through our contact form here. Immensely appreciated by other moms-to be! Would other parents find this valuable? Share it! What baby info are you looking for? Signs Of Labor - Is it time..? 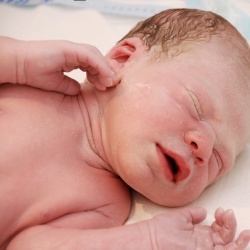 Labor Pain - Why Does It Hurt To Give Birth? By Paula Dennholt, Copyright © 2006-2013 EasyBabyLife.Com. Please review our disclaimer before using this site.